Former Equity Financial Trust CEO Nick Kyprianou announced Thursday the establishment of RiverRock Mortgage Investment Corporation. 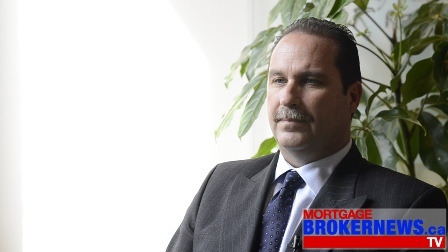 “Due to the increase in residential mortgage regulations being placed on banks and trust companies we see tremendous opportunity to work with mortgage brokers in order to assist them with securing financing for their self-employed, soft or poor credit and new immigrant clients” Nick Kyprianou, president and CEO of RiverRock Management Inc. said in an official release. RiverRock MIC will operate exclusively within the mortgage broker channel. The MIC will focus on alternative lending, an area Kyprianou believes is being squeezed by tightened regulations, with many lenders unwilling to operate within the space. In late 2013, a bid was made by Smoothwater Capital and two joint actors – including Kyprianou, former CEO of Equity Financial Trust – to have him reinstated as Equity Trust’s CEO. “I made a decision that given how things unfolded it wasn’t the right move,” Kyprianou said. It is great to see Nick back lending in our industry. He has a keen understanding of what brokers need in the "B" space and I know he will be a great resource on the deals that Banks and Trusts just cannot fund. Every day it gets just a little bit harder to handle income verification and low credit scores with our traditional institutional "B" partners. I am sure RiverRock will be a great resource. Good news for sure. I welcome another experienced entrant into the B space. Hopefully this will put some downward pressure on rates and fees on the "used to be A deals" applicants.